ResultMaps show how things fit together. Directly connect the individual to the team and organization - and vice versa. The principles work whether you are a small team or an organization with many departments. You can see what's done, what's next, when things are due, and why they matter. It’s like using traditional task managers and project management tools - except things fit together in one system that gives them meaning. It works for personal and team performance. Musicians record themselves. Athletes video themselves. Your navigation system doesn't just spout directions - it lets you zoom out to see a map. To go fast in today's adaptive work environments, use a map that helps drive decisions and priorities. ResultMaps make efforts visible from any level of detail or context you need. Build a big picture vision. Clarity improves performance by speeding decisions, cutting clutter from conversations and keeping everyone on the same page. Inspire more than accountability: build a story of collective success. Whether you have a few people on your team, or are using ResultMaps in an enterprise, ResultMaps improve collaboration. Work with teammates are across the room or across the world. Move critical discussion out of email. 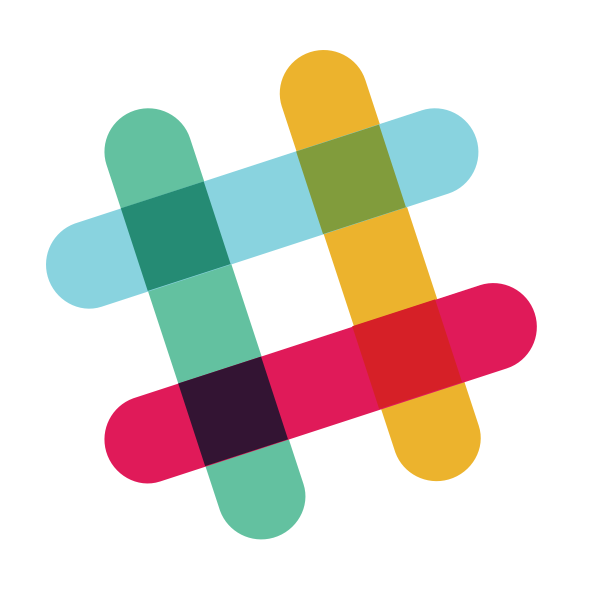 Organize things directly from Slack or Google Docs. You can link to- and integrate with- your other tools. Work from a specific process with templates, or create collaboration as new situations arise. Over time, ResultMaps builds stories of collective success with "wins" "high fives" and other reports. No additional data entry required. Keep track of the short-term and long-term goals you are working toward on daily and weekly basis. Click for a full-sized view. The world doesn't need another project tracker or task management system. What it needs is smoother collaboration, the ability to adapt immediately, and better decisions. Focus and momentum normally fade as data entry and reentry get in the way of getting things done. ResultMaps start the day with a concise email digest of what's next, and what needs attention. Click through to overviews or detail views for any type of result, at any level, to get the details as needed. Use the day plan to capture every idea or to-do with tools to prevent overwhelm. ResultMaps show everything in context. Whether you are managing a project, building out a strategic plan, or scheduling a plumber, things stay organized. We are all tired of friction introduced by technologies that lose site of results. These types of tech drain energy, time, and morale in the name of getting more use from "users." ResultMaps' mission pushes us to collaborate with customers and partners. We work with you to identify and replace friction with intelligence and automation. With our API, you can transform text from virtually any source. ResultMaps' Add-on for Google Docs and Gmail Chrome Extension both leverage this API. It's easy to lose track of how often the same information comes up or shuffles around. "Last week's meeting notes turned into 6 action items. Those went out through email or group chat. Now it's time to remind everyone ahead of this week's meeting. More emails or messages request everyone's updates. Then there is the research to double check that nothing slipped through the cracks. Everything makes its way into slide deck for this week's meeting. The cycle then begins again." We're not even including that request for outside help where you had to catch someone up by recounting everything. ResultMaps recognize text as you type, then handle the grunt work to get everyone on the same page. As you type, your text becomes projects, goals, schedules, assignments, and project plans. Use a few hashtags to schedule, align, display status and track responsibility. ResultMaps automatically follows up. First it notifies everyone of their action items. Then reminds people and collects structured status updates. Everything is accessible and organized in context. You can pull up a snapshot or details at any time - including in your next meeting. We love email and messaging tools like Slack and Skype. They are wonderful when used at the right time. Left unchecked, they become thieves of time, energy, and mental resources. They are just as capable of awesomeness or awfulness as the tool of language that they so they support. Research tells us our brains "peak performance" time each day is limited. There is also a limited store of energy for things like will power and processing. The part of brain that handles these things fatigues over time. Inboxes and chats 'game-ify' and socialize our work. We 'score' by processing messages and making decisions about how to respond. It can be fun, or produce a range of emotions, and it pulls us in. But the mental costs are high. One morning email can replace dozens. And getting results can be 'game-ified' too. ResultMaps sends a single morning digest of the day's next steps and updates from your team. It sends an end-of-day email with 'done'/'next'/'blocked' summaries. Everything stays in the context of your projects and objectives. One click takes you details when you need them. Another can collect more information from your team or discuss important points. Another click gives you dashboards or detailed plans. ResultMaps keeps these communications in context, and the results framework visible. You don't have to think about those administrative tasks, you can focus on how best to realize your results. When you know the end of day summary is coming, it's a great motivator too. David Rock's book "Your Brain at Work" and his talk at Google present brain research that can make you better. Daily digest emails and Slack notifications replace disjointed conversation threads with concise DONE/NEXT/BLOCKED summaries. ResultMaps vision boards add compelling imagery at the top level to help you align, and track progress against vision, mission, values, and objectives. When overwhelm and fatigue set in, our sense of purpose blurs. Even if it once inspired us, it's easy to lose sight of why. We become easier to distract, challenges seem bigger, and we need more energy to get things done. We may grit our teeth and remain professional, but we are not at our best. Our brains crush huge amounts of visual information in an instant. They organize information into easy-to-manage chunks, and structure stories to understand. They can imagine realities that our bodies respond to like the real thing. These capacities can obscure our vision and sense of purpose, or make them clear. ResultMaps support clear vision, sense of purpose, and alignment. ResultMaps make it easy to structure a high-level vision that is compelling and clear. Then it helps break the vision down into a mission, areas of focus, and objectives. It can align the individual's vision and objectives, and day to day activity with those of the team. It helps everyone reconnect with and refine those elements for continual improvement. Adapt to stay focused on results. ResultMaps allow people to get in "flow" and stay in flow by working in the best ways to get results. Some projects need complex dependency tracking, well vetted methodologies, and input from across an organization. Other efforts may need little more than a shared a Google doc and a few reminders. ResultMaps let people work according to the situation and need. Efforts go into getting results instead of managing management tools. And every effort maps to a result. When teams (or individuals) are aligned and focused on results, discipline becomes a tool foster creativity and peak performance. When people know the outcome they need, decisions improve and critical adjustments are made without sacrificing diligence. ResultMaps allow you to organize and refine as you go. You can use your favorite flavors of personal productivity, project management, or organizational management. You gain visibility regardless.